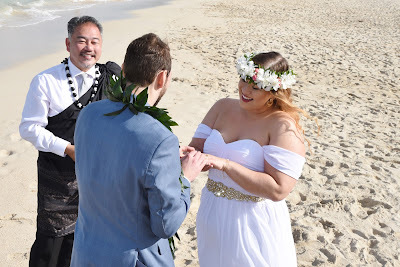 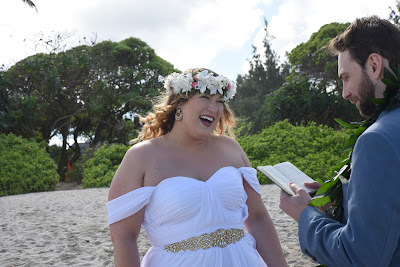 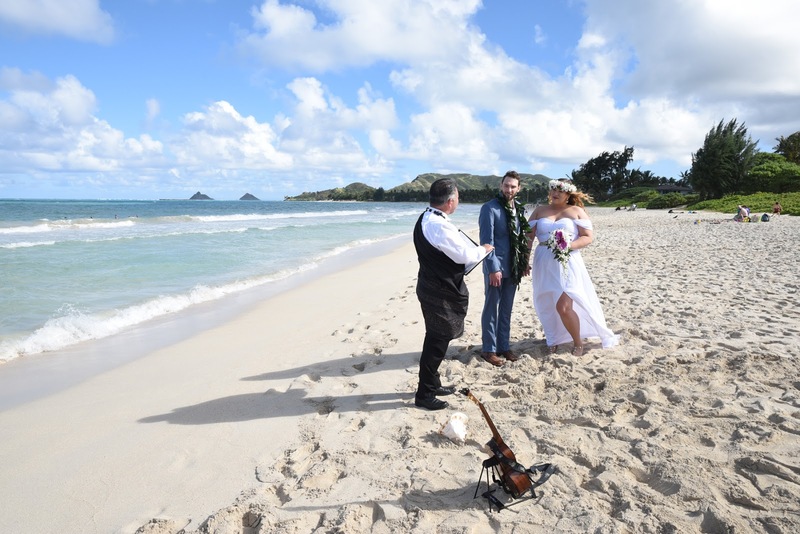 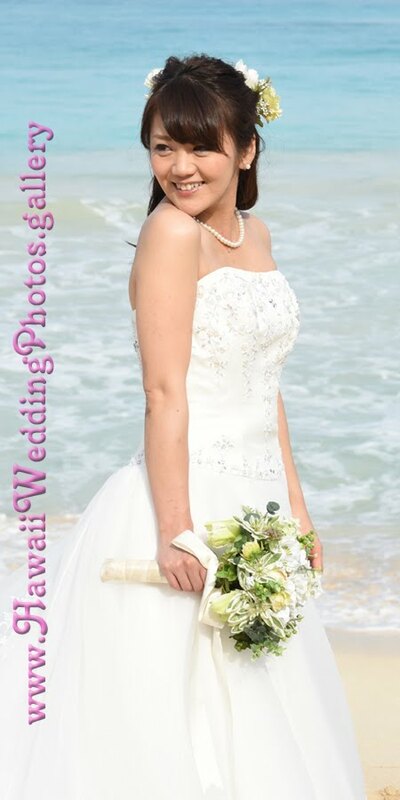 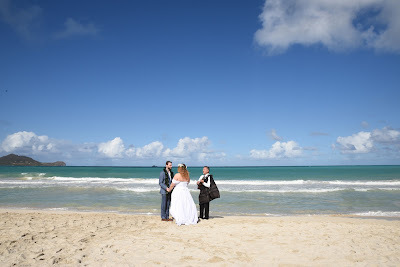 Alex and Linda tie the knot at Kailua Beach in Windward Oahu. 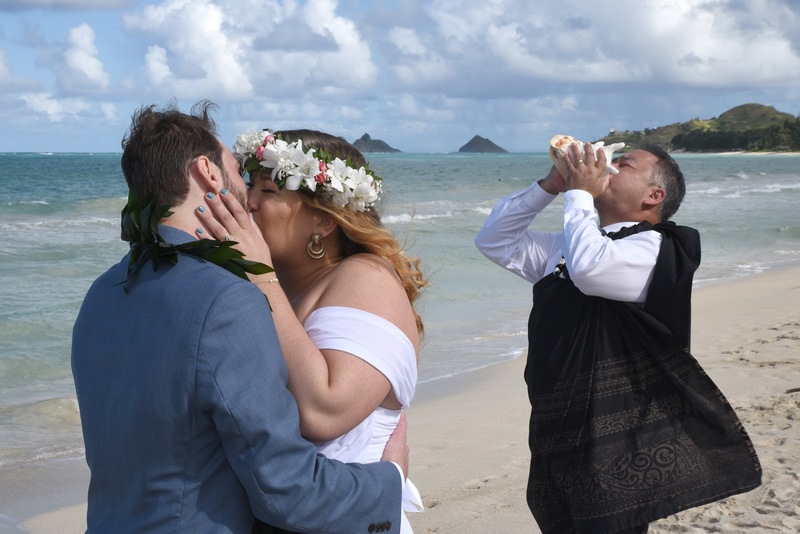 Rev John officiates the ceremony and plays Ukulele music too. Rev John blows the conch shell as bride and groom seal their wedding with a kiss.